After Goldie Hawn and Kurt Russell, Jean-Paul Belmondo and Rose McGowan, here is an article about the impulsive Chris Pratt. Chris Pratt, from a modest background, showed better than anyone else the remarkable adaptability of Gemini, his Sun sign. He was very young when he wanted to be rich and famous, but he not very clear about his motivations. A jack of all trades, he was interested in wrestling before doing casual jobs as a delivery man or a waiter until he got noticed by a female director. It should be noted that he has even been a male stripper, thus making use of his powers of seduction very early. It is useful to mention that his Scorpio Ascendant and the dominant position of Pluto explain Pratt's "animal" attractiveness. Even though Pluto is in the 12th House, a place indicating a taste for hidden things, he trines Venus and sextiles the Midheaven (the career). Bearing in mind that it is necessary to throw in the influence of Libra, where Pluto, ruler of the chart, is, one understands better why these parameters turn Pratt into a charismatic and magnetic actor. Indeed, Scorpio's seduction is poisonous, while Libra and Gemini, two signs of Air, add a lighter touch, a familiarity with the art to appeal to people and to flirt. With his first appearances on television, Pratt managed to draw attention in the series Everwood. Then he starred in Parks and Recreation, playing Andy, a character which should have been a secondary role but which became more and more important at each new episode owing to the audience's enthusiasm. 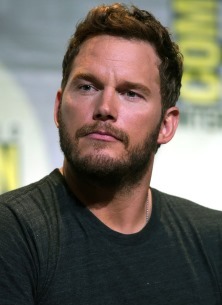 Since 2009, Pratt has made his audience laugh worldwide with his part of an employee working in the parks and recreation department of a fictitious American city. It is obvious that, although he was not too advantaged by his origins, the comedian rapidly succeeded in earning people's support. This may be linked to the fact that the chart's western hemisphere is highlighted, especially the 7th House, the House of other people. Pratt then collected a few small roles for the big screen before making a splash with the part of Peter Quill/Star-Lord in Guardians of the Galaxy by Marvel Studios. He was reluctant at the beginning, but he forced himself to go on a special diet in order to weigh 135 kilos so as to perfectly match his role. It is perhaps the result of the blend of the third zodiacal sign's chameleon talent and Scorpio's metamorphosis power. One of the configurations of the chart that is worth delineating is the Moon - Mars conjunction in Taurus, which sextiles Mercury in Cancer. It is interesting to underline that the ruler of Gemini is in this Water sign, therefore "sensitive", in auspicious aspect with his ruler, the Moon. Straightforwardness may offset a slightly "manly" approach and keeping this alleged weakness under control. Besides, the handsome lady-killer can settle down, since he was married for nearly ten years to Anna Faris, whom he just divorced and with whom he has a son. Even though he undeniably feels comfortable with females, his main challenge will probably always be to remain quiet and to face the daily routine, since he always needed changes and surprises. Pratt underwent the transit of Saturn opposite the natal Sun (until last December, when the planet was still in the last degrees of Sagittarius). Recently his life has not been a bed of roses. This trend may have brought about his divorce, especially because the planet first transited Neptune, opposite Pratt's natal Venus in Gemini. Actually, Saturn tends to put an end to shabby life chapters and to get rid of whatever has become useless. 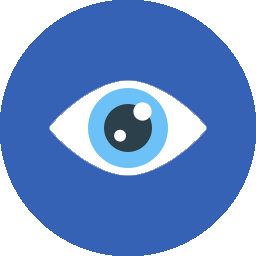 Currently, the actor is focusing on himself. The transit of Jupiter on the Ascendant and on natal Uranus, further down in the 1st House, heralds a nice period of success during which, more than ever, he can do extremely well, in a surprising or original way. He is promoting the fourth part of the Jurassic Park saga, Fallen Kingdom, which fits his athletic physique like a glove. You can also read the Astrotheme astrological portrait of Chris Pratt.